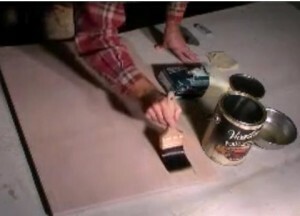 I found some very good videos that I posted below demonstrating how MDF Thermofoil kitchen cupboards are made. 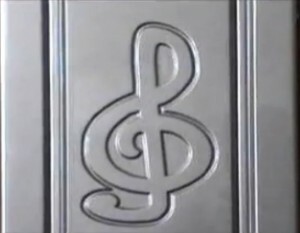 Most vinyl wrapped cabinet doors are manufactured in large plants. These companies are not multi product developers, but instead focus specifically on the door making niche. 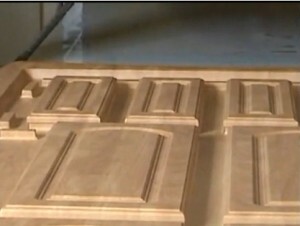 You can get embossed MDF custom cabinet doors from manufactures who have a CNC routing system. One of the videos below is from 7Q Industries. They are manufactures of high-end doors, wood engravings and decorative panel designs. Customers can submit their custom drawings to the company and have them transformed into beautiful 3D impressions. This is a great way to get personalized kitchen cabinet doors created. There are many different styles of safety locks for cupboards. Depending on the brand, installing kitchen cabinet door latches could take five minutes each or less. This of course is determined by your level of skill with a few household DYI tools. We have provided a few videos further down the page that we found to be very helpful in showing how to install these childproof locks. All cabinet refinish jobs consist of five major steps: stripping off existing finishes, sanding, conditioning, applying new stain and clear coating. The Youtube videos below demonstrate the correct way of refinishing smooth panel wood kitchen cupboard doors. To prep the wood for the new products to be applied, the white-wash stain and clear-coats must be removed.